Home » Health » What Is Thyrotoxicosis? Thyrotoxicosis is a condition in which the work of excessive thyroid hormones caused by excessive levels of thyroid hormones in the body. Another term often heard is hyperthyroidism. 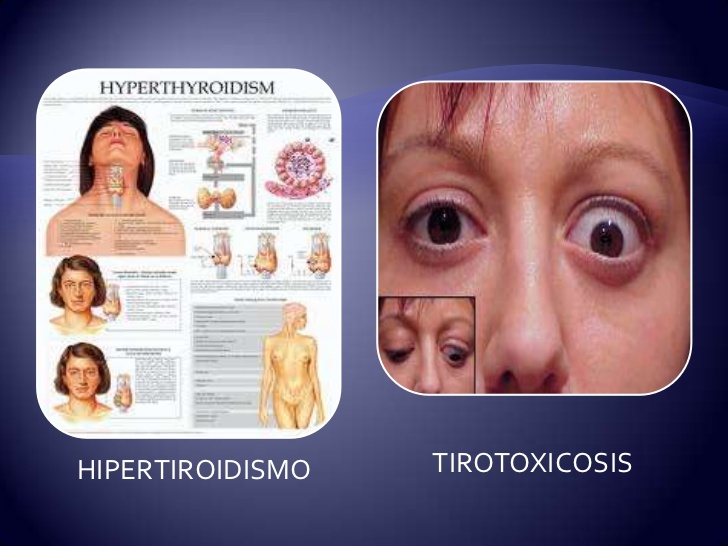 In fact, hyperthyroidism is different in from thryotoxicosis. Hyperthyroidism is a form of thyrotoxicosis resulting from excessive production of thyroid hormone in the thyroid gland. Not all thyrotoxicosis is caused by hyperthyroidism, for example in thyroiditis , which is an increase in thyroid hormone in the body caused by excessive release of thyroid hormone. This condition is not referred to as hyperthyroidism. It is important to distinguish thyrotoxicosis due to hyperthyroidism or not, as it will affect its treatment. A person may be declared thyrotoxicotic when the levels of thyroxine (T4) and triodotironin (T3) hormones in the blood show an increase. Meanwhile, levels of thyroid-stimulating hormone (TSH) released by the hypothalamus and into the control of the thyroid gland show a decrease. Thyrotoxicosis is more common among women. Treatment that can be done is by administration of antithyroid drugs, radioactive iodine therapy, or thyroidectomy surgery if needed. Weight loss, but appetite increases. The eyelid opens wider than usual so the eyeballs look prominent. Frequent sweating and feeling hot. The thyroid gland is stimulated excessively by thyroid-stimulating hormone (TSH). TSH does serve to stimulate the formation of thyroid hormone (T3 and T4). However, with the formation of T3 and T4, it will provide feedback to the hypothalamus gland, the gland that produces TSH, to immediately stop the production of TSH. This condition occurs in the state of normal thyroid function, as well as thyrotoxicosis. However, in TSH-secreting disease pituitary adenoma , there are tumors in the hypothalamus or pituitary gland that continue to form TSH and result in hyperthyroidism and thyrotoxicosis. Graves' Disease . Graves' disease is the most common cause of thyrotoxicosis. Autoimmune disorders cause too much thyroid hormone release. Toxic adenoma . This benign tumor disease usually decreases thyroid hormone very much while reducing thyroid stimulant hormone level (TSH), so that the levels become very low. Toxic multinodular goiter (Plummer's disease). There is an enlargement of the thyroid gland that produces excessive thyroid hormones. The disease is commonly suffered by elderly people. Thyroid hormone levels rise slowly. Therefore, new symptoms are diagnosed in the elderly. Jod-Basedow Syndrome (Iodide-induced thyrotoxicosis) . This disorder can occur in patients who get too much iodine intake This is because iodine or iodine is an important raw material for the formation of thyroid hormone. In addition to the above causes, there are other causes that result in activation of the thyroid gland resulting in excessive thyroid hormones, such as pregnant wine , or choriocarcinoma which is one type of uterine cancer . Thyroid hormone reserves in the thyroid gland are released slowly due to inflammation of the thyroid gland (thyroiditis) which can be caused by infection, autoimmune, and injury. Tirotoxicosis is temporary, after which there is hypothyroidism . Some types of thyroiditis include painless postpartum lymphocytic thyroiditis , painless sporadic thyroiditis , subacute thyroiditis, acute thyroiditis, and palpation thyroiditis . Subacute thyroiditis or de Quarvain thyroiditis is the most common type. Some drugs that can also lead to this condition are interferon , tyrosine kinase inhibitor , and lithium . Excessive exposure to thyroid hormones obtained other than the thyroid gland. Thyroid hormone can be produced by the body outside of the thyroid gland as in ovarian tumors ( struma ovarii ) and thyroid cancer that has spread to other tissues. In addition thyroid hormone can be obtained from the outside as in thyrotoxicosis factitia , namely thyrotoxicosis caused by ingestion of drugs containing thyroid hormone. The diagnosis of thyrotoxicosis can be determined by examination of thyroid-stimulating hormone (TSH) levels and thyroid hormone levels (T4 with or without T3) in the blood. In subacute thyroiditis patients, investigations such as C-reactive protein and erythrocyte sedimentation rate are also required to look for signs of inflammation. Examination of autoantibodies in the blood is also needed to detect Graves' disease. This examination consists of antimicrosomal, antitiroglobulin, and TSH receptor antibodies. All of these antibodies are commonly found in patients with Graves' disease. In addition to blood tests, scanning of the thyroid gland such as thyroid ultrasound and thyroid scan is also needed to see a more detailed picture. The main goal of treating thyrotoxicosis is to overcome the symptoms caused, while trying to restore thyroid hormone levels until normal. Attempts to treat symptoms include returning fluids in dehydrated patients and beta-blocking drugs such as propranolol or atenolol . In addition, efforts to restore thyroid hormone to normal levels can be done with the administration of antithyroid drugs. Antithyroid drugs can decrease thyroid hormone levels gradually over 2 to 8 weeks. The dose of this drug is reduced gradually every 4 weeks until the thyroid function returns to normal. Examples of antithyroid drugs are propylthiouracil and methimazole. Another remedy for restoring thyroid hormone levels is the lugol solution containing potassium iodide which is usually given to severe thyrotoxicosis patients. Giving this drug is done for 4 weeks with a maximum dose of 12 grams / day. However, these drugs can not be given to patients with Plummer's disease and toxic adenoma . As for patients with Graves disease, generally given radioactive iodine therapy. This therapy is quite safe and effective although the effect is slower than antithyroid drugs. Provision of this therapy can be in the form of fluids or capsules. However, iodine radioactive therapy can not be done in pregnant women because it can affect the fetal thyroid gland, as well as in mothers who are breastfeeding. Patients who require normalization of thyroid hormone levels in quick time, such as pregnant women or planning to become pregnant. Patients with unstable heart conditions, severe eye disorders, or recurrent hyperthyroidism patients because of amiodarone drugs. Patients who can not receive radioactive iodine therapy or can not take antithyroid drugs. Postoperative, thyroid function will be tested again by blood test 3-4 weeks after surgery. Doctors may also administer the hormone T4 ( levothyroxine ) because most patients will have hypothyroidism. The incidence of hypothyroidism depends on how much of the thyroid tissue is removed. 0 Response to "What Is Thyrotoxicosis?"